Welcome to Kailua! Home to famous white sand beach, Lanikai and spanning Kailua beach where many come to vacation and live. Kailua is an active beach town - ride your bike to the farmers market or beach or shop at its many boutiques in Kailua town. Visit famous Kalapawai market for coffee and treats, or Island Snow for shave ice. Live on the canal with a boat just outside your doorstep, or on a level lot. 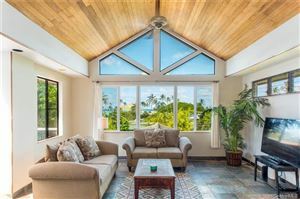 Kailua is great for families, and has easy access to main highways. Based on information from the Multiple Listing Service of Hicentral MLS, Ltd. Listings last updated on Apr 25, 2019 4:33:pm. Information is deemed reliable but not guaranteed. Copyright: 2019 by HiCentral MLS, Ltd.